For finished cosmetics, companies who plan to place cosmetics on Chinese market must apply for and obtain hygiene license or record-keeping certificate from the China Food & Drug Administration(CFDA). Foreign companies shall appoint a Chinese responsible agent to deal with registration and obtain such certificate. Manufacturers shall also register a new cosmetic ingredient prior to using it for cosmetics production. 20 Dec 2013, CFDA officially removes compulsory animal test for non-special use cosmetics produced in China. More info can be found here. 17 May 2013, Provincial Food & Drug Administration Authorities Will Be Responsible for Approval of Imported Ordinary Use Cosmetics in China. More info can be found here. 18-19 March 2013, CIRS to hold a workshop on invitro alternative methods for cosmetics in Guangzhou China. More info can be found here. Cosmetics are defined as daily used industrial chemicals which can be spread on the outer surface of human body (e.g. skin, hairs, nails. lips etc) for the purpose of cleaning, deodorizing, providing skin care, beauty and make – up, by way of smearing, spraying or other similar means. Imported cosmetics are divided into two classes: ordinary cosmetics and special use cosmetics. Each class requires different type of license from CFDA. Please note that imported ordinary use cosmetics are approved by food & drug administration authorities at provinical level while imported special use cosmetics are approved by CFDA in Beijing. Cosmetics with skin-whitening and skin pigmentation reduction claims will be classified as special use cosmetics (anti-freckle category) from 16th Dec 2013. The Hygienic Standard for Cosmetics published by the Ministry of Health in 2007 has banned over 1200 chemicals in cosmetics and restricted the use of 73 chemicals, 56 preservatives, 156 colorants, 28 sun block agents and 93 dyes in cosmetics. Before companies apply for hygiene license or record-keeping certificate, companies shall make sure their formula meets this hygienic standard. Companies shall also check if there is any new ingredient in their product. 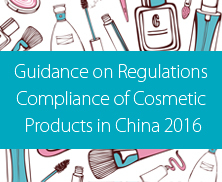 A new ingredient that is not currently listed on the Inventory of Existing Cosmetic Ingredients in China (IECIC) also requires registration with SFDA. However, a new ingredient might not require registration if there is proof that the ingredient has been used in approved cosmetics in China before. It can be very difficult and expensive to register a new ingredient. 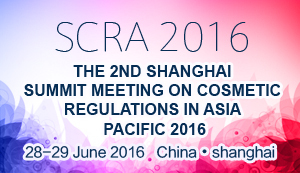 More info about registration of new cosmetic ingredient can be found here. 4 Dec 2012, China SFDA to Revise Hygienic Standards for Cosmetics and Lower Pb and As Level in Cosmetics. For more info, please click here. Note: Some documents are not required for ordinary use cosmetics. According to the official implementation of the national standard: Procedures and methods of safety evaluation for cosmetics (GB 7919-87), some of the following testing items are required depending on the types of finished cosmetics. Please contact April.guo@cirs-reach.com if you would like to know what tests are required for your products. In case of imported cosmetics, country of origin and the name and address of the distributor in China shall also be given on the label. Other documentation required by AQSIQ. Please note that the documents required for bringing non-trade cosmetics(for example, product samples, R&D samples) into China are different. More info can be found here. How Much Does Application Cost Per Product? The total costs of application consist of three parts: Testing fee, risk evaluation fee charged by approved inspection authorities and consulting fee. The total costs vary among different service providers, quoted prices in various inspection authorities, and test items for the distinct usages of cosmetics. Generally speaking, the total application cost of record-keeping certificate for imported ordinary cosmetics is between 10,000 and 30,000 RMB per product. The total application cost of hygiene license for imported specific use cosmetics is between 20,000 and 60,000 RMB per product. The total application cost of hygiene license for new cosmetic ingredient is between 80000 and 100000 RMB per ingredient. Please note the above cost estimation does not include risk evaluation fee and human body test. Previously set up by China Inspection and Quarantine Bureau(CIQ), CIRS has strong presence in China and close links with regulatory authorities in China, especially CIQ. CIRS China can act as the Chinese responsible agent, review your ingredients, coordinate testing, prepare application materials and obtain hygiene license or record-keeping certificate and CIQ labels for your cosmetics products. If you wish to avail of our integrated compliance solutions for the entry of cosmetic products into China, please don't hesitate to consult us. 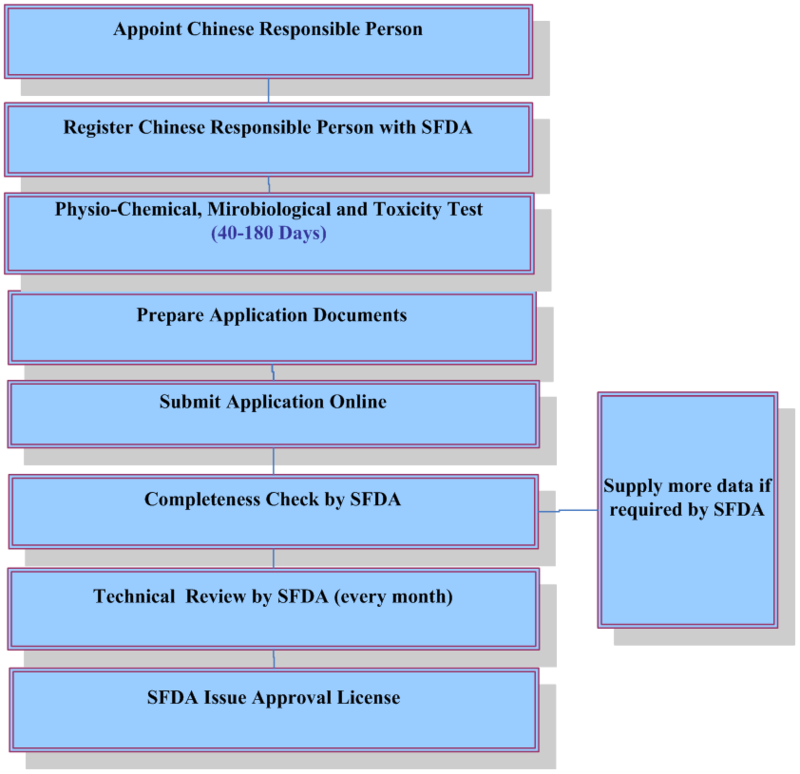 Specialized field: application for hygiene License, record-keeping certificate for imported cosmetics, safety evaluation of cosmetics and cosmetic ingredients, standard labeling for cosmetics, SDFA registration, CIQ label, etc.